We desire innovative choices when creating a meaningful farewell to those we love. 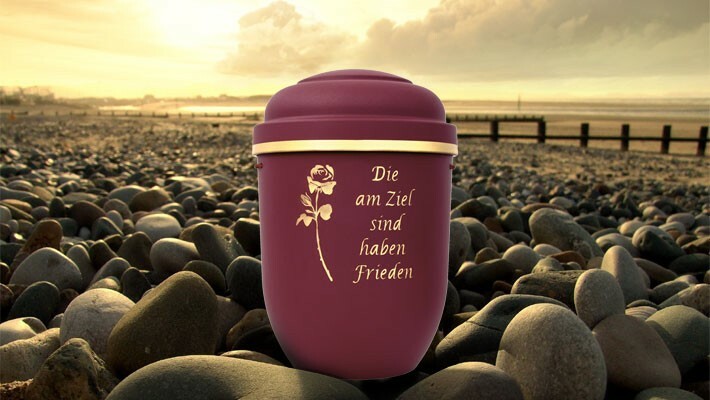 That's why we are proud to offer this selection of biodegradable cremation ashes urns providing the opportunity to design your own personal message, logo and decorative banding directly onto the product. Your order is individually manufactured by skilled craftsmen making each urn unique, special and a personal tribute to a loved one. Your purchase includes FREE delivery to the address you specify. Simply place your order online alternatively please do speak to one of our friendly team by calling 01670 943143. This anthracite coloured urn has been caringly handmade by skilled craftsmen, making each urn u.. This autumn green urn has been caringly handmade by skilled craftsmen, making each urn uni.. This cherry red urn has been caringly handmade by skilled craftsmen, making each urn uniqu.. This green urn has been caringly handmade by skilled craftsmen, making each urn unique, sp.. This lilac petal urn has been caringly handmade by skilled craftsmen, making each urn uniq.. This yellow urn has been caringly handmade by skilled craftsmen, making each urn unique, s.. 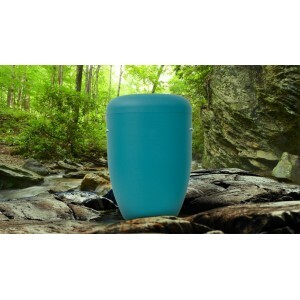 This light blue urn has been caringly handmade by skilled craftsmen, making each urn uniqu.. This stunning light blue urn has been caringly handmade by skilled craftsmen, making each .. This tawny brown urn has been caringly handmade by skilled craftsmen, making each urn uniq.. This wild apricot coloured urn has been caringly handmade by skilled craftsmen, making eac.. This borbeaux red urn has been caringly handmade by skilled craftsmen, making each urn uni.. This ebony with speckled copper urn has been caringly handmade by skilled craftsmen, makin.. This farne island blue urn has been caringly handmade by skilled craftsmen, making each ur.. 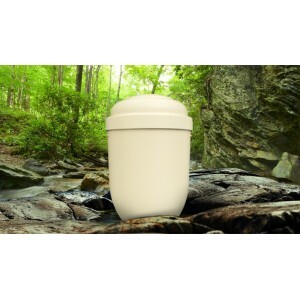 This ivory pearl urn has been caringly handmade by skilled craftsmen, making each urn uniq.. This navy blue urn has been caringly handmade by skilled craftsmen, making each urn u..